The teenage years are when the youth of the world typically feel the most invincible. It is during these formative years when teens believe they know more than their elders and that no one should be able to tell them what to do. Thus, it is no surprise that Katherine Ewell, a teen herself, would choose to set her debut novel amidst these tumultuous years. And that is pretty much where the predictability of Dear Killer ends. 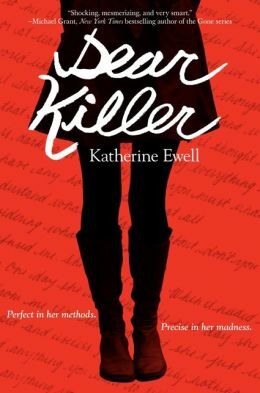 Dear Killer is the story of Kit Ward, a sixteen-year old Londoner, who also happens to be the most famous serial killer of her time. Commonly referred to as “The Perfect Killer” by the authorities, press, and even her own mother, Kit might be forgiven for letting the attention go to her head – if it weren’t for the dead bodies scattered all over London. To be fair, Kit is soliciting murder requests from everyday folks via a secret mail-slot hidden at one of her favorite hangouts, so there is a method to her madness. She has even created her own calling card, by leaving these letters at the scene of each crime. However, those teen years also account for a large percentage of the errors in judgment and mistakes that most individuals make in their lives. Kit is no different. Without thinking through the ramifications, Kit has taken to hanging out with and helping the Scotland Yard investigator assigned to “The Perfect Killer” case. And when she decides to delay the killing of her latest victim – a school-mate named Maggie – she chooses to befriend the girl in the meantime. Both of these mistakes could end up costing her much more than she bargained for. Kit lives by a set of rules passed on to her from her Mother, who killed before her. For them, there is no right or wrong, there just is. This morally nihilistic world-view is one that readers will easily understand, even while it is unlikely that they will subscribe to it. But Kit’s current actions are causing her to rethink these rules and by allowing this doubt to enter her mind, Kit is treading close to making her first murder-related mistake. At this point, readers will find themselves conflicted – most would agree that Kit is a likable character, but it is not always possible to forgive her actions. Dear Killer may not seem like it from its description, but the novel is very much a coming-of-age story. Kit must learn to reconcile her YOLO (you only live once) mentality with the moral quandary some of her killings force upon her. Will she be able to continue justifying her own actions to herself? The fact that Katherine Ewell was only sixteen when she wrote the novel is astonishing and speaks to how mature this young writer must be. Readers will be eager to watch her career blossom over the coming years. 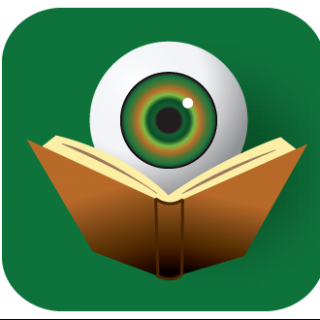 For now, Dear Killer will easily keep readers thinking and discussing long after the last page is turned. Disclaimer: An e-galley of this title was provided to BOLO Books by the publisher. No review was promised and the above is an unbiased review of the novel.